Reports from Donald Trump's camp strongly suggest the presumptive presidential candidate will select Indiana Gov. Mike Pence for his vice presidential pick. 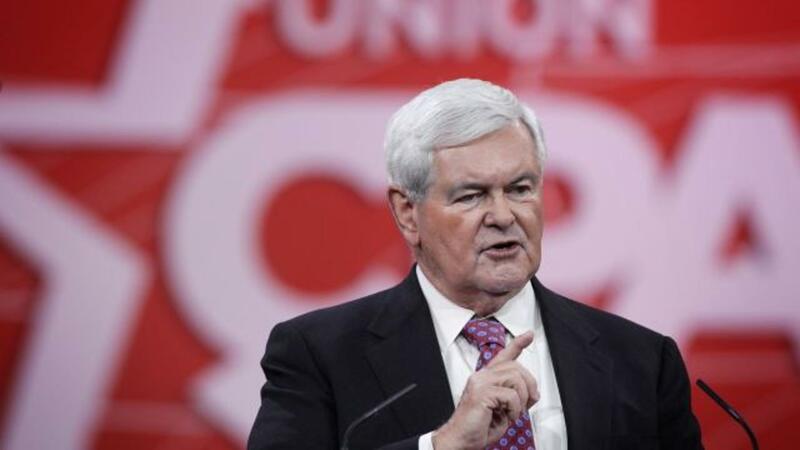 But apparently Newt Gingrich, the other main contender for Trump's VP slot, is still holding out hope. Gingrich posted a Facebook Live video discussing the vetting process for vice presidential candidates. And he kept referring to his candidacy in the present tense. "My appeal's probably more national; I have some appeal in virtually every state," Gingrich told his Facebook Live viewers. "What is he looking for; what's the chemistry he needs? What does he think will strengthen him? ... Like you, I'm looking forward to the next 24 hours." It's true Gingrich isn't out of the race just yet; the news of Pence's new role came from Trump's advisers rather than the candidate himself. Trump has promised to make an official announcement Friday, and a campaign spokesman tweeted a message saying Trump hadn't made up his mind just yet. But the Indiana governor's Midwestern appeal and conservative establishment bona fides make him a solid choice to counterbalance Trump's unorthodox campaign and unite the GOP behind a single ticket. Gingrich is a big Facebook Live enthusiast, and he did say he would push for the next nominee to adopt the live-stream service on the campaign trail. "If Mike's the nominee, I'm going to try to get him to do a lot of Facebook Live because this is a great way to talk with each other," Gingrich said. #tbt hanging out with some lemur friends. Happy National Zookeeper Week! Thanks to the many zookeepers who’ve entertained and educated me at #zoos around the world over the years.